Sheryl Longin is a screenwriter and the author of Dorian Greyhound: A Dog's Tale (2006). Humorous as well as eye-opening, the book's canine hero tells of his harrowing journey from an Arizona race track to his Hollywood Hills mansion. 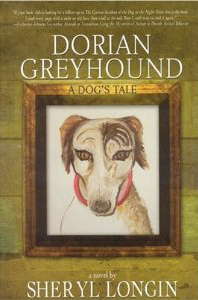 Part of the proceeds from the sale of Dorian Greyhound are being donated to HemoPet, a canine blood donation center and greyhound rescue operation. Longin is married to fellow screenwriter and author Roger L. Simon.